A relieved Jürgen Klopp was delighted to have seen Liverpool ‘dig in’ to secure a hard-fought 4-3 victory over Crystal Palace at Anfield. 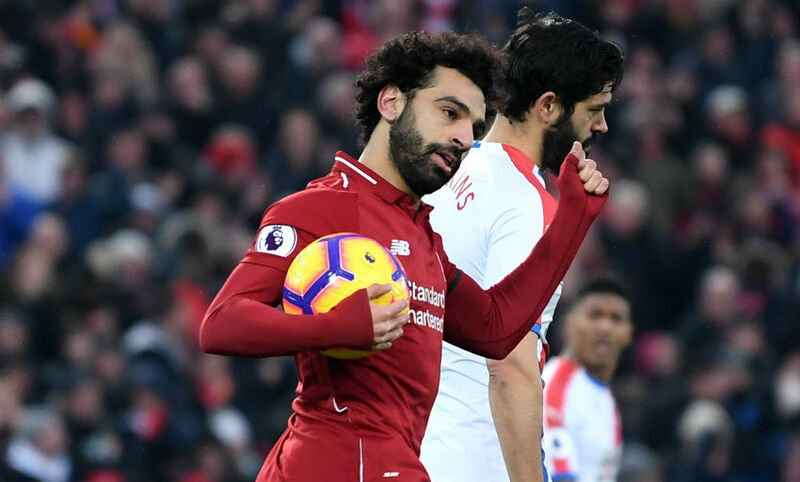 Andros Townsend’s goal meant the Reds were behind at half-time on Saturday, but Mohamed Salah and Roberto Firmino scored to make it 2-1 to the hosts by the 53rd minute. 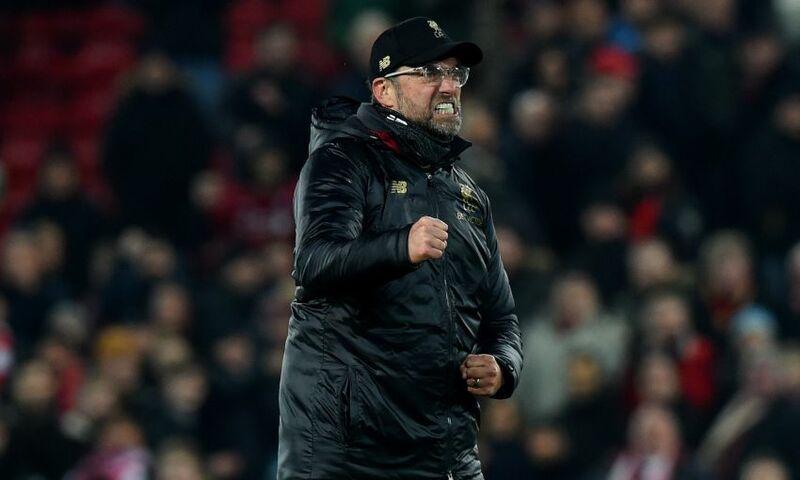 Sadio Mane’s 93rd-minute strike – which came shortly after James Milner had been shown a second yellow card – appeared to have wrapped up the win, only for Max Meyer to quickly pull one back for the Eagles. Liverpool, though, saw out the remainder to extend their advantage at the top of the table to seven points. Somebody asked me already what was the main feeling or emotion after the final whistle and it was relief. A game like this can go in all directions. We were extremely dominant in the first half, but we were 1-0 down. We created chances but not enough, maybe not clear enough. We didn’t have enough players in the decisive areas, we had a lot of players in the preparing areas. That can happen of course, so at half-time it was clear we had to change that – we needed players in the decisive areas, more bodies in the box and all that stuff. Thank God it worked pretty well immediately. We forced these two goals to come back and everyone felt the atmosphere. Then, obviously it was not 100 per cent clear for the boys: do we control it now or do we still chase the game or whatever? That can happen as well, it’s not a big problem. We had good moments and controlled it most of the time, but pretty much each ball we lost was immediately a counter-attack because Zaha had a really good game and gave us a lot of things to solve. Millie did outstandingly well because you really cannot defend him alone and we didn’t – besides the goal, of course, which he set up. Apart from that, we could defend him but there were a lot of set-pieces – especially the set-piece which they got for the 2-2. It was an open game now with more possession for us – and we scored the third one with a similar situation that we had plenty of in the first half, these diagonal balls into the box for the full-backs. This time Millie could get the ball in the last second I would say, a difficult ball for the goalie and Mo was there to finish it off. Fourth goal, Sadio – a world-class run, full of desire and all that stuff. Then you have a look at the watch and think ‘OK, that could be the moment’, but football teaches you always don’t close the game before it’s finished, so they could score the third one. Rafa Camacho wins the ball in pretty much the last second against Wilfried Zaha – I don’t want to think about if we’d missed that ball and what then would have happened! It is like it is. There are different ways to win football games, today we had to dig in with all we had and the boys did that, especially in the second half. It was a different game in the first and second half. We did it and so I am really happy. Nobody should be surprised about the character of the boys. If something was really here before I came in it was character. I have known the boys since October 2015, all the boys that were here, and they have outstanding character. The work-rate was always unbelievable and all that stuff, so you have to mix it up with a few other attributes. Confidence is important, self-belief and all that stuff. The boys are ready to fight for all, that’s clear. It’s not the first moment in the season where we had to do it, but today it was pretty special and I really liked it. I think it was not too easy for the crowd to get the first half – so what do you do with that? It’s all OK on one hand, but on the other you are 1-0 down. I am pretty sure a lot of people thought that it’s not only difficult today, but probably the day where we lose it. We were not like this. I told the boys, most importantly we have to stay positive and it’s not allowed to lose the nerves – there was no reason for it, nothing happened and we had to improve a few things and do a few things again and again. Yes, of course, we had to protect especially the left wing extremely well, we needed to be there, we needed to win the ball back there as well. The boys did it, you always need a bit of luck in football but it was not too much necessary. The boys deserve these three points in a very difficult game. Exceptional – an exceptional achievement from a world-class player, that’s how it is. I think he made a few steps in the last couple of months in the right direction, so it’s really, really an outstanding number. I heard the names of the other players who did it a bit quicker: Alan Shearer, Ruud van Nistelrooy and Andy Cole – yeah, good strikers as well! Maybe he would’ve scored more earlier if I wouldn’t have played him that often on the right wing, so [that’s] my fault! But no, it’s not bad and it helped us a lot and the boys know that. I think it’s a typical win-win situation: he benefits from the style of play with the other boys and the boys benefit, of course, with his scoring desire, so that’s cool. It is a break in that period. If I would imagine Millie out and Fabinho for sure a doubt it would’ve been a massive challenge if we would play on Wednesday or Saturday again. I have no idea how that would’ve worked – we couldn’t do that, honestly. It will be now two days of recovery for the boys with the most minutes and the others train of course, and then we start the preparation for the Leicester game, which is another tough task. That’s why we are here but it will not be a real break, we have to use it for training. I don’t know. We have to look day to day, that’s what everybody tells me. [For] Leicester? I don’t know. Trent is a very quick healer so that gives us a little hope. That’s it. We have to see.